Got an interview lined up? Have the edge and be head and shoulders above the other candidates by using these 10 easy tips in our “10 ways to make a good impression”. Look the part! The suit is the obvious choice for most but unless you are applying for a power position, it’s not compulsory. I’m not saying wear your sweats or look too casual but don’t be afraid to wear a smart shirt and trousers, after all it’s not a fashion parade, it’s an interview. Sometimes not wearing a suit can make you stand out, you will be remembered as “the one who didn’t wear a suit but was really good in the interview”. Eye Contact Look your interviewer in the eye. Anybody who has studies psychology will know that this shows confidence and truthfulness. Shake hands with a firm grip. No soggy handshakes! Other gestures similar to this will have a huge effect on how you are perceived. Crossing your arms, yawning, head in your lap or slouching are all classed as negative body language. Go Prepared, Take with you a copy of your CV and cover letter so the employer has a souvenir of your visit. Smile! It’s amazing how much a smile can change someone’s outlook or impression of you. 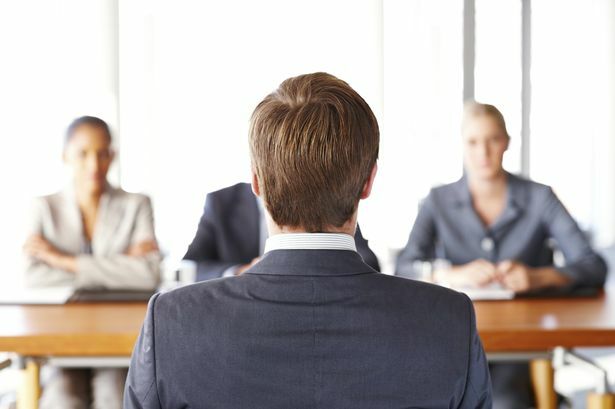 Chances are, like most people – nerves will kick in, keep the nerves at bay with a smile and the interviewer will smile back, subsequently the situation won’t seem so overwhelming. Also it plants a positive seed in their head and are more likely to be remembered for the right reasons. Don’t be afraid to disagree on certain things, overly agreeing with your interviewer could be perceived as being a pushover. Show them that you have your own thoughts and ideas. Comment on something in the building or room that you are in, this will make you appear to have a warm personality and aware of your surroundings. Finding a common ground with them or having something in common has a similar effect. Do your research on the company prior to the interview. How long have they been established? How many people work there? What is their turnover? If you can’t find out, don’t be afraid to ask. Ask questions! You want to get to know their business! You are interested in their business! Refer back to your ‘Research’. The interview isn’t just about finding the right candidate, it’s also an opportunity for you to find the right company to work for. Give yourself a break… Don’t work yourself up. Stretch before going in to a job interview. Take some deep breaths. Do whatever it takes to calm yourself down. Your personality will suffer if you let your nerves take over.